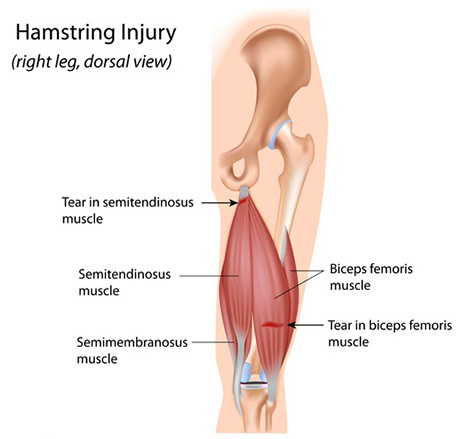 Hamstring muscle strains and injuries are very common injuries in sports involving sprinting, change of direction and jumping. and more specifically as the lower limb is in the ‘terminal swing phase’ of running at a time when the hamstring muscle is loaded eccentrically (lengthening fibres under load). Where/which part of the hamstrings are usually affected? The most common part of the hamstrings that gets pulled/strained/injured is the biceps femurs (BF), and research shows that this happens in 80% of cases (that is 8 out of 10 hamstring injuries involves the biceps femurs). Why does our hamstrings get strained or injures? 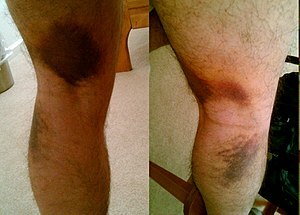 A reliable clinical test to predict hamstring injury is the ‘single leg hamstring bridge’. If an individual presents as having weakness with endurance testing compared to the other hamstring/leg/side there is an increased risk of hamstring injury.